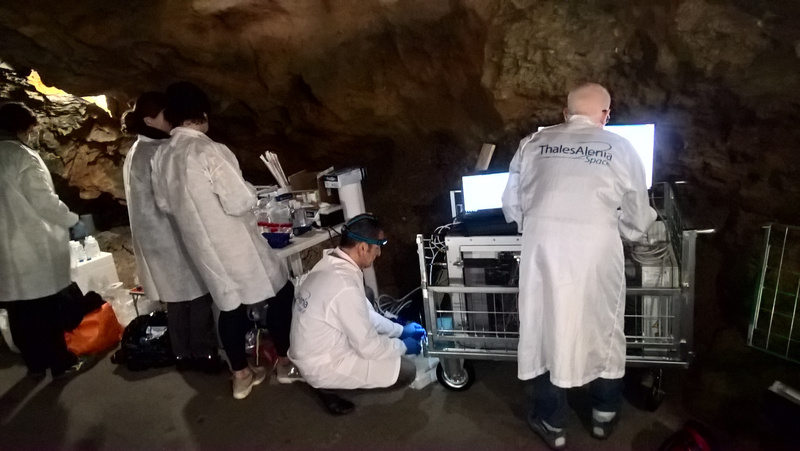 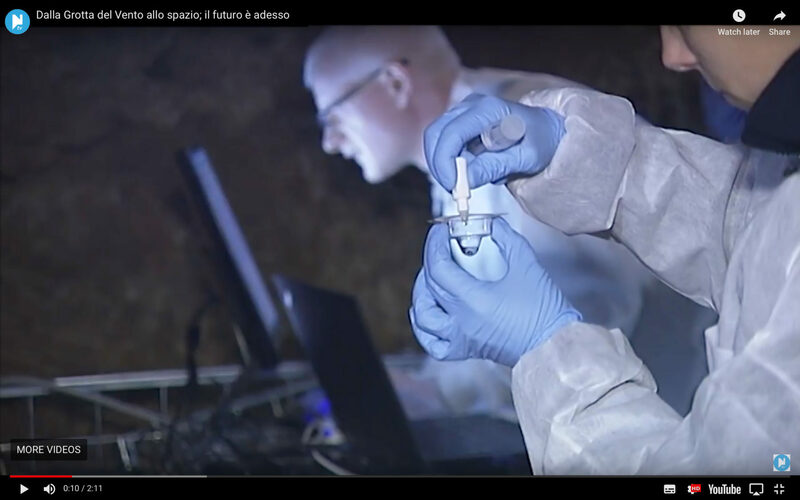 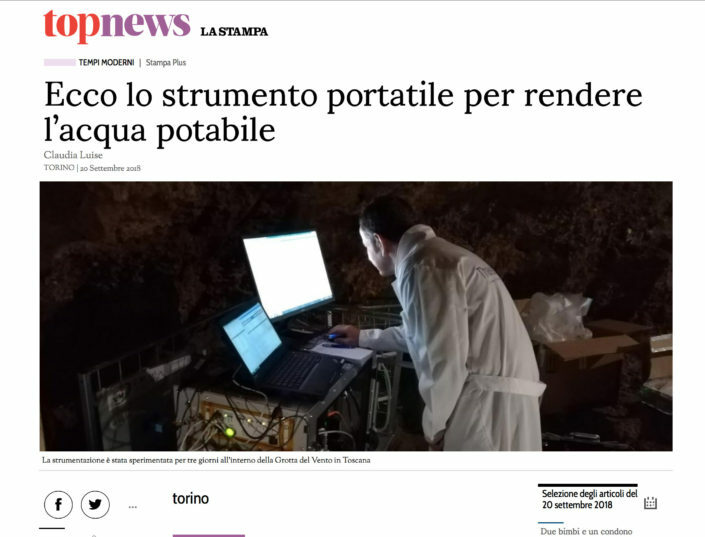 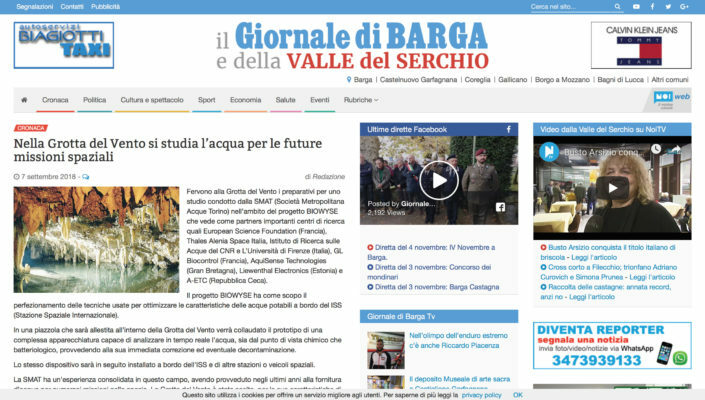 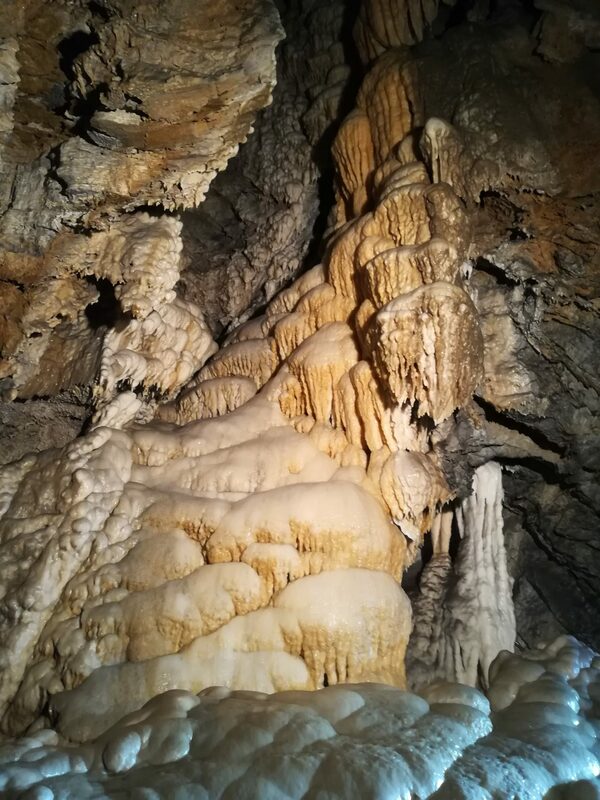 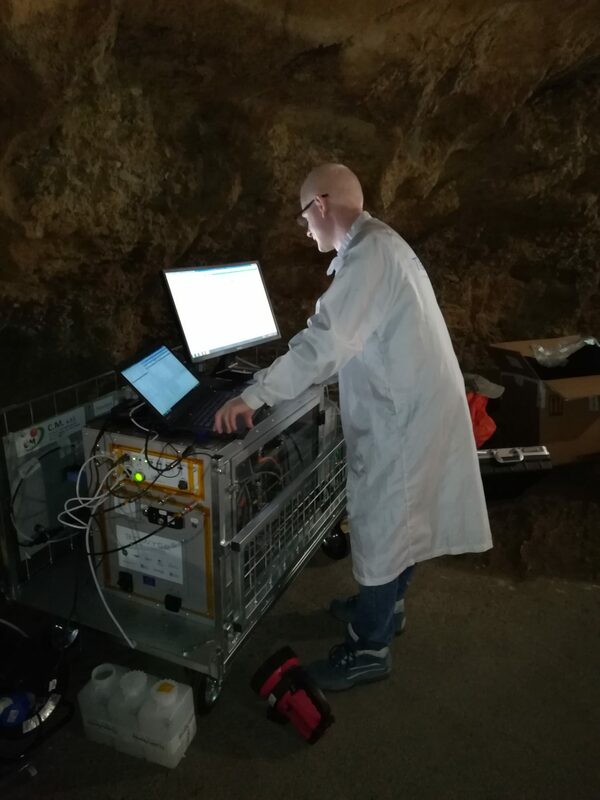 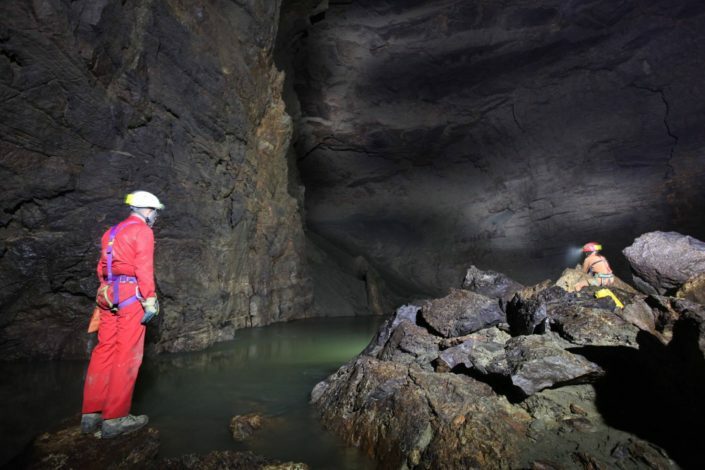 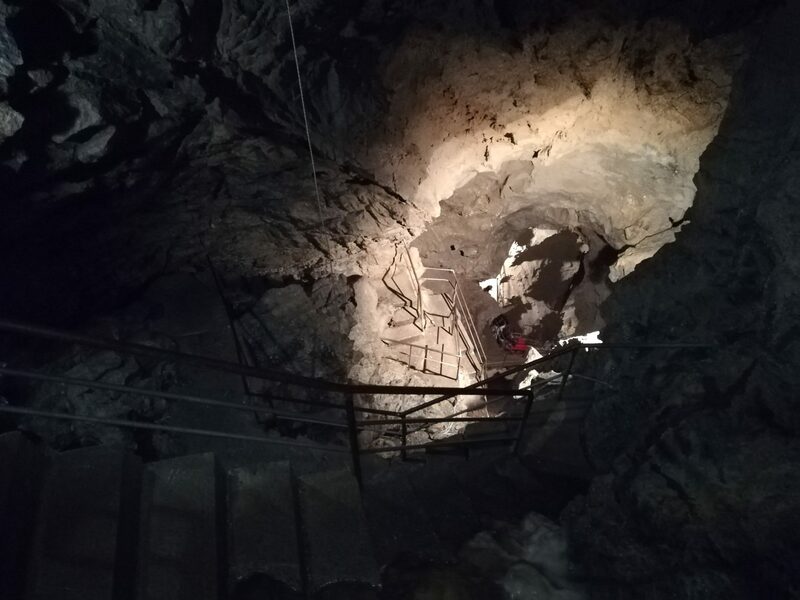 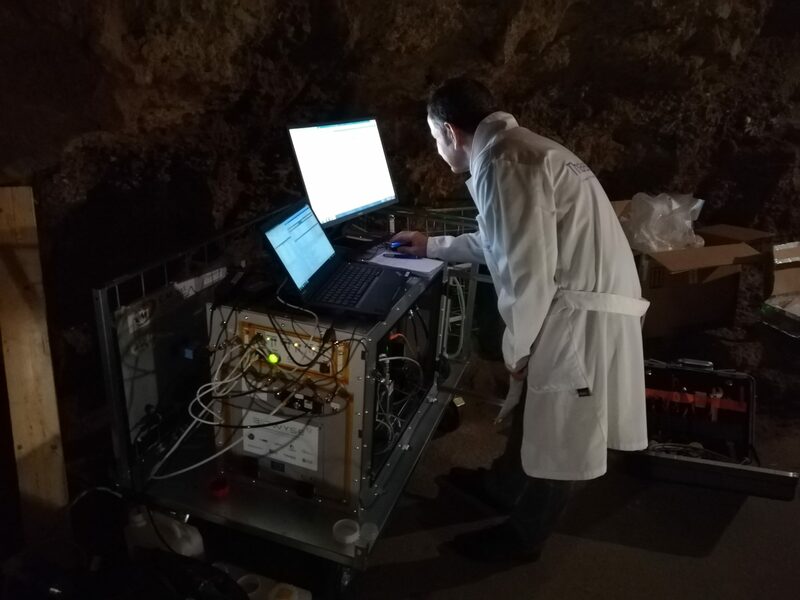 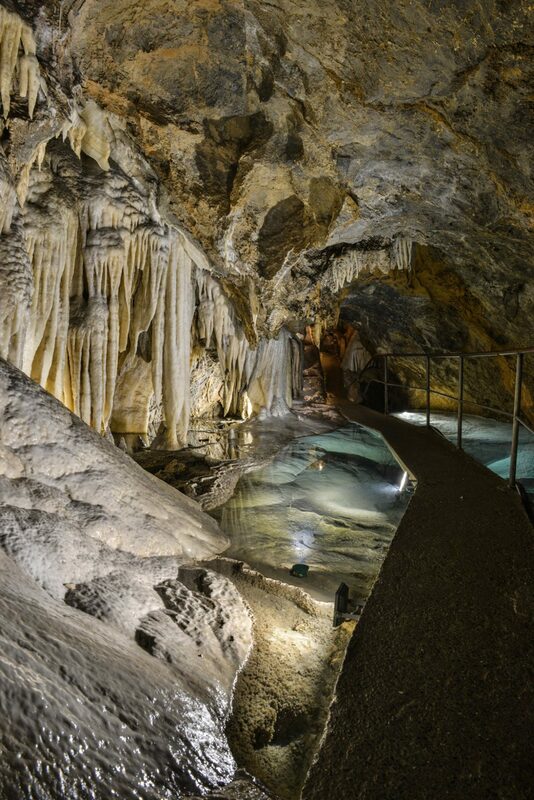 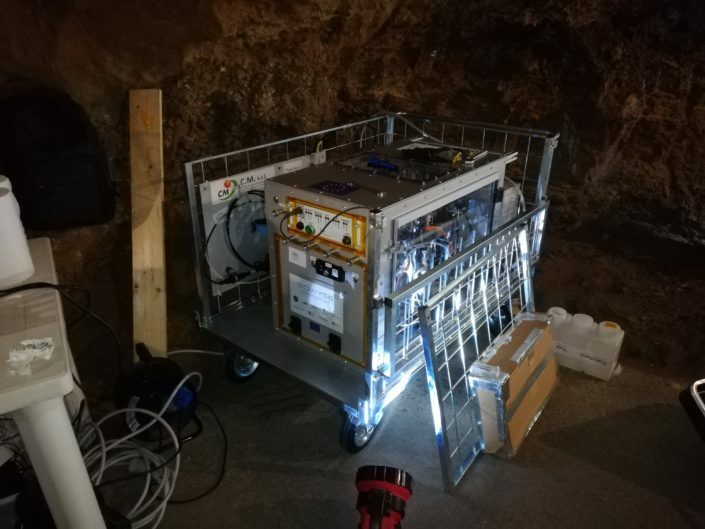 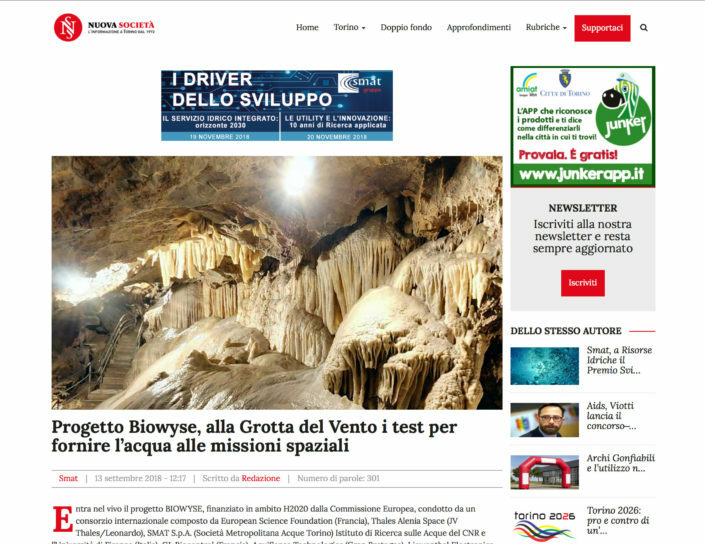 As part of BIOWYSE Horizon 2020 project, an important experiment was done inside the cave Grotta del Vento, conducted by a group of researchers from Thales Alenia Space, the CNR and SMAT (Metropolitan Water Society Torino). 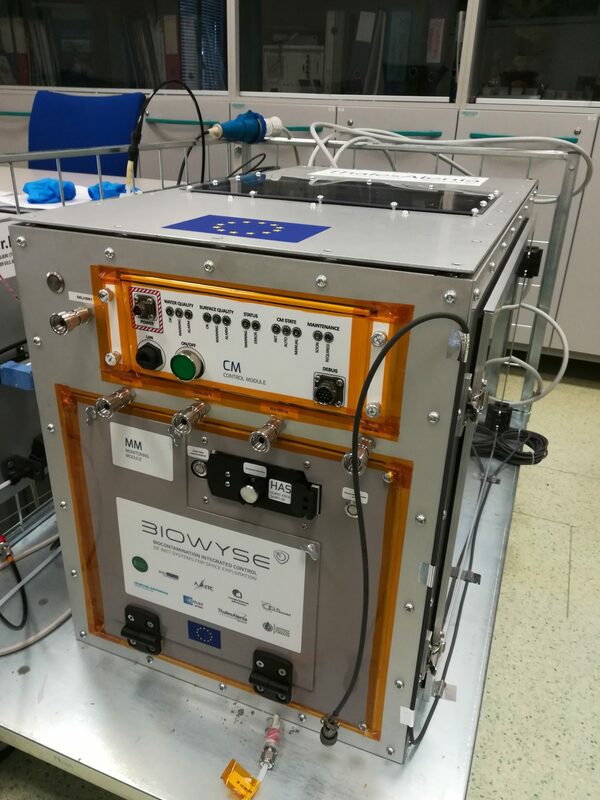 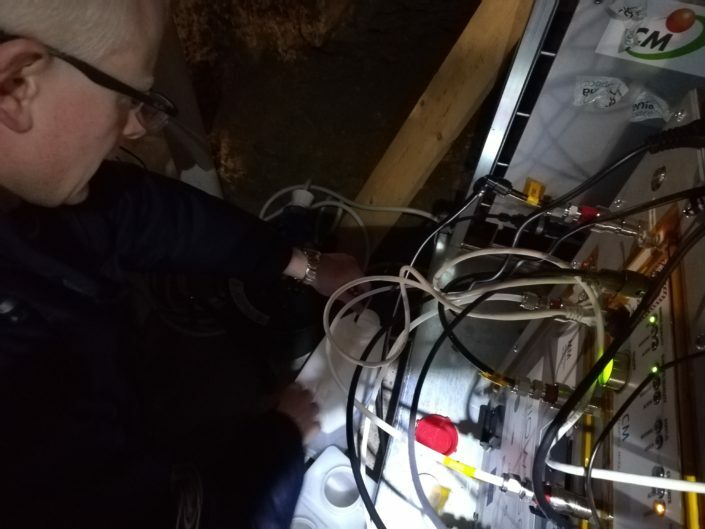 The aim was to test in an environment isolated from external contamination, comparable to that of a space vehicle, a special machine, which will be installed on the ISS (International Space Station) aiming to analyse and correct in real time water to be used by astronauts. 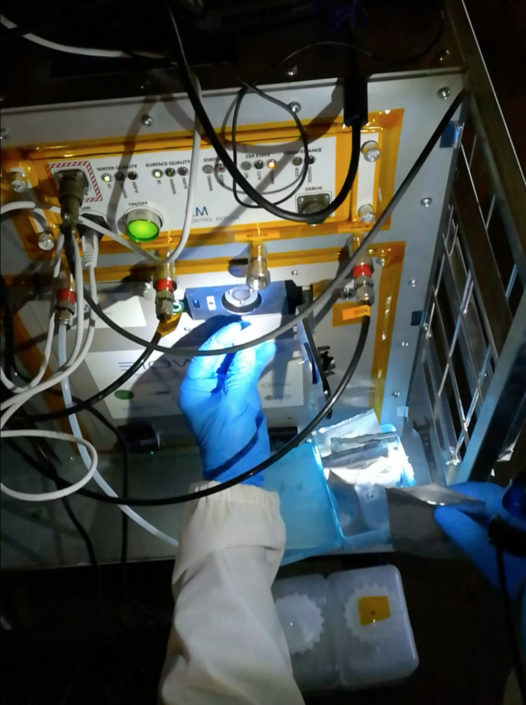 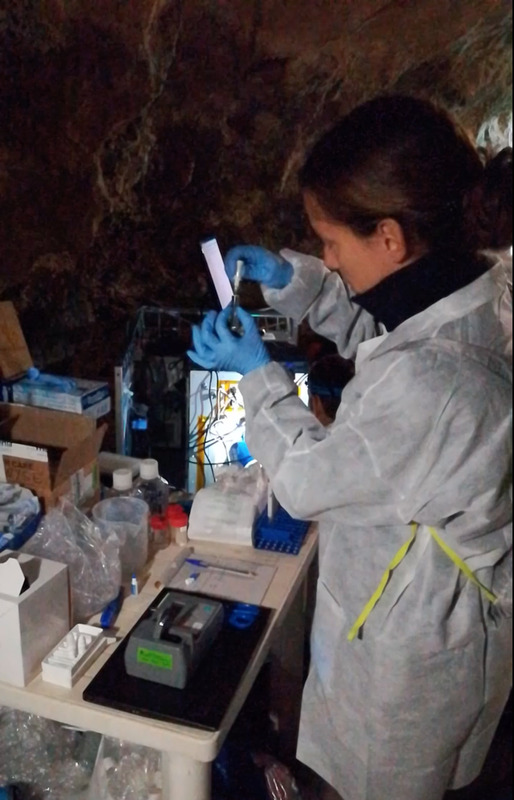 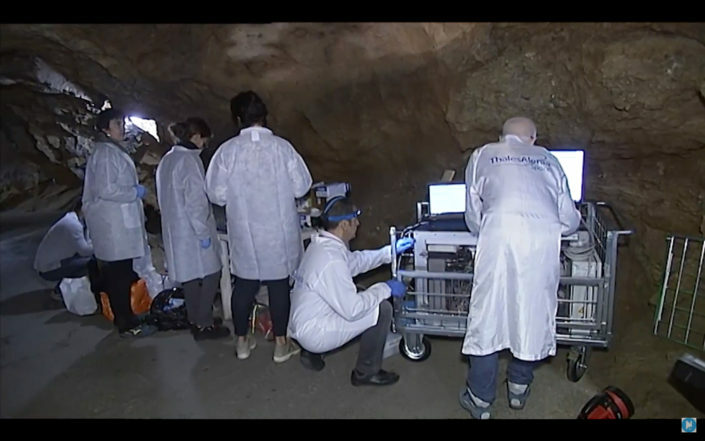 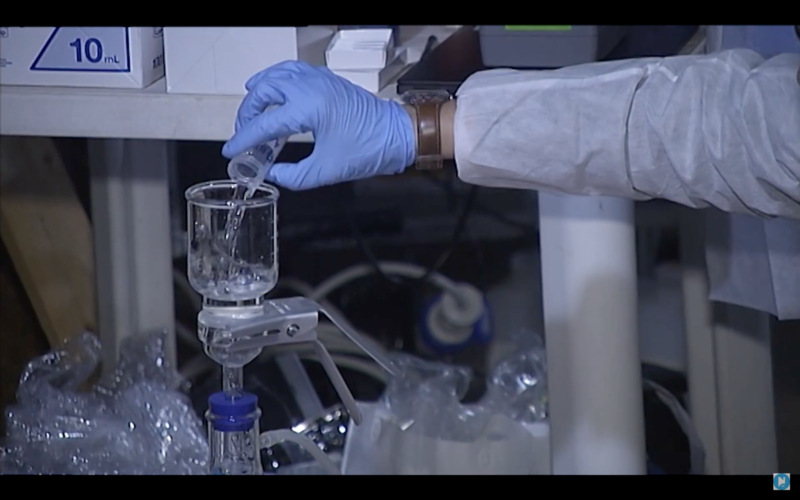 During the course of the experiment done in September 2018, the scientists were taking samples and interacted with visitors of cave, illustrating the goals and methods of the research, aimed to be used not only in space, but also for use on “Earth” in confined environments (hospitals, prisons, greenhouses, tourist resorts in remote areas) and in the case of serious calamities (wars, earthquakes, floods etc.). 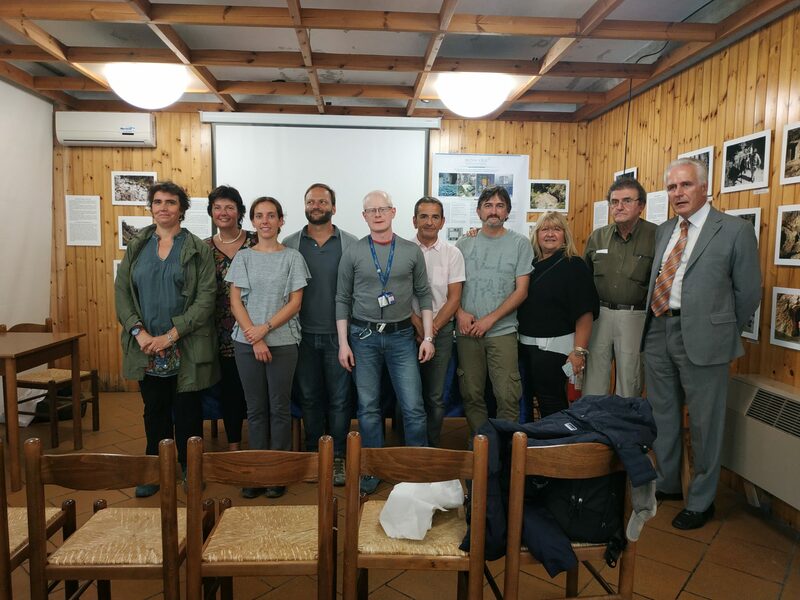 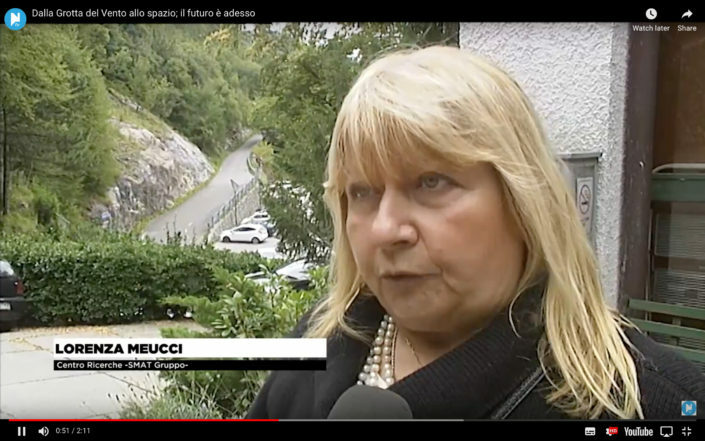 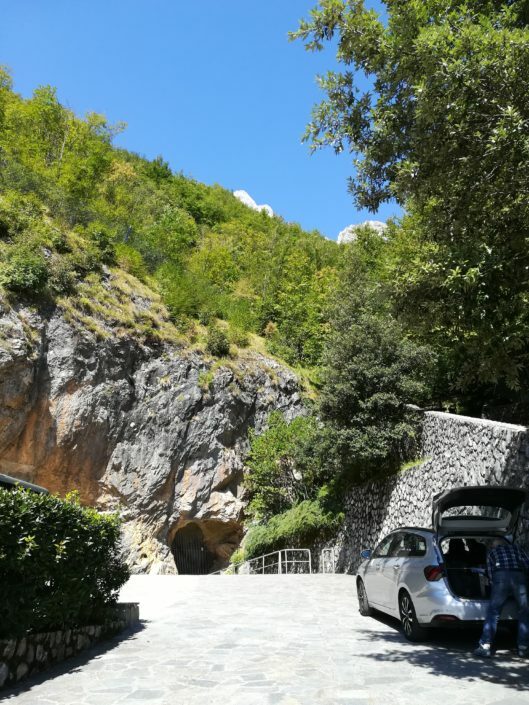 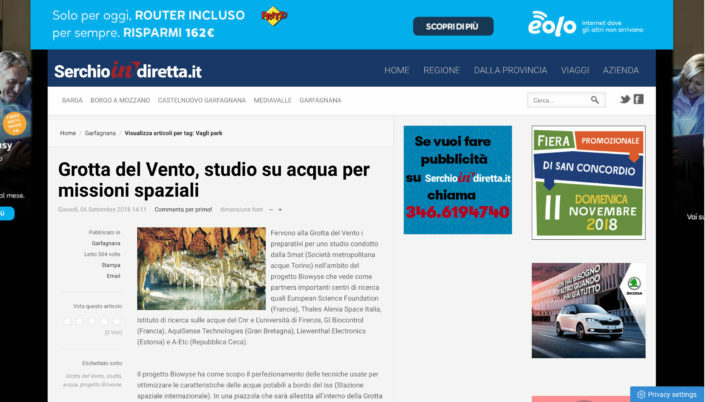 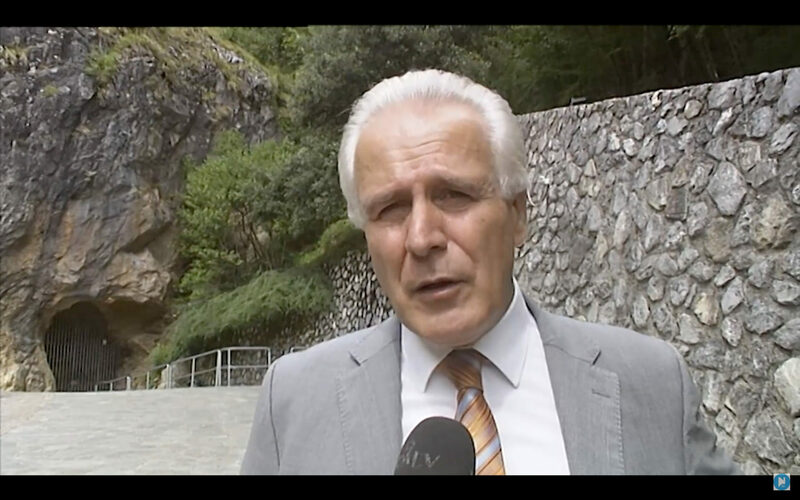 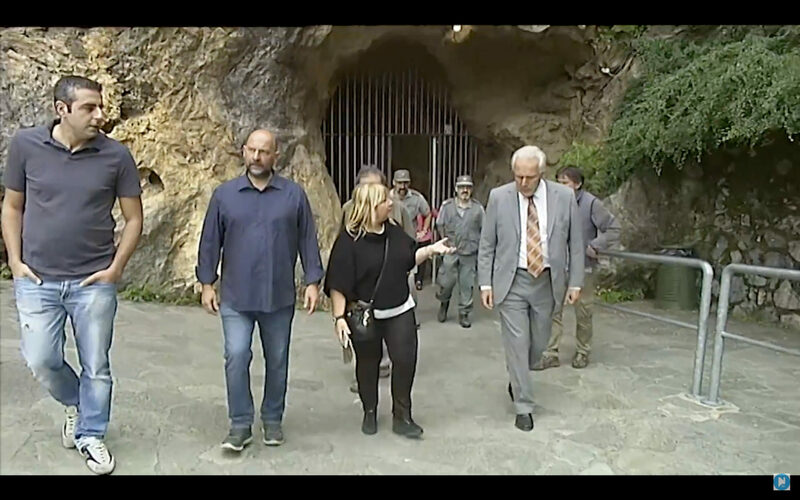 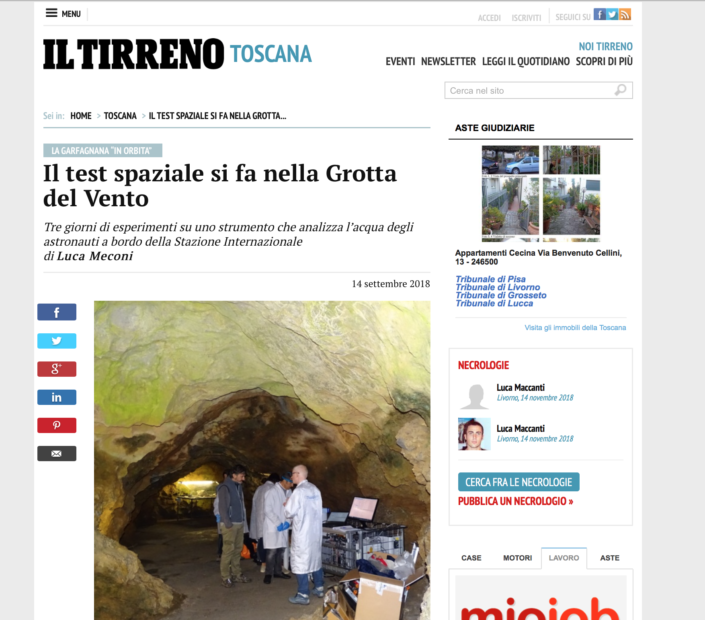 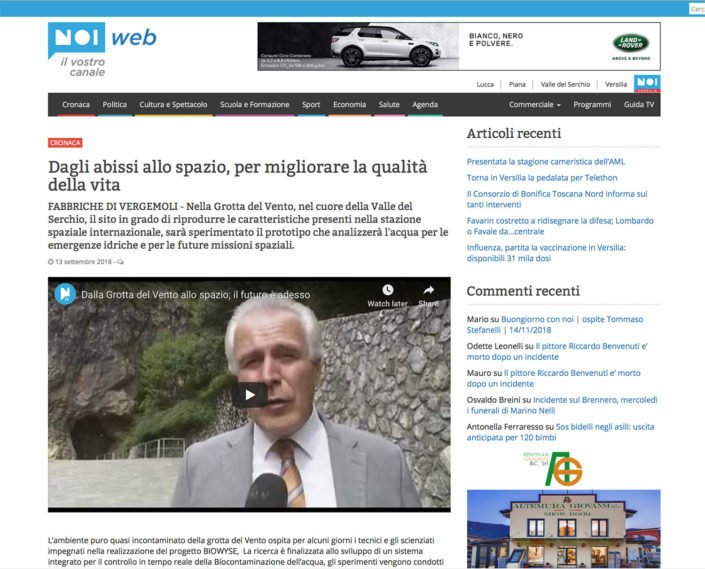 In front of a large audience, on Thursday 13th September the researchers held a press conference in the projection room of the Grotta del Vento. Amongst the authorities taking part there was the president of the Regional Council of Tuscany Eugenio Giani, the mayor of Fabbriche di Vergemoli Michele Giannini, the longest elected counsellor of the SSI (Italian Speleological Society) Massimo Goldoni, the commander of the rangers of the Apuan Alps Park Antonio Speroni and the secretary of the Union of Municipalities of Garfagnana Francesco Pinagli.